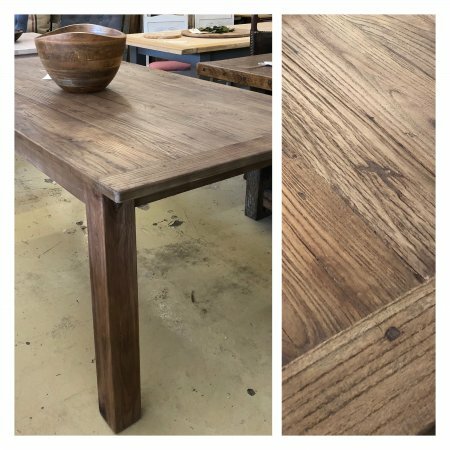 Reclaimed Dining Table New Stock, just arrived 180cm x 90cm square from reclaimed elm wood. Beautiful aged look. In store now. £575. Legs can be removed for transport or we can arrange delivery. If you send a post code we can quote for delivery too.